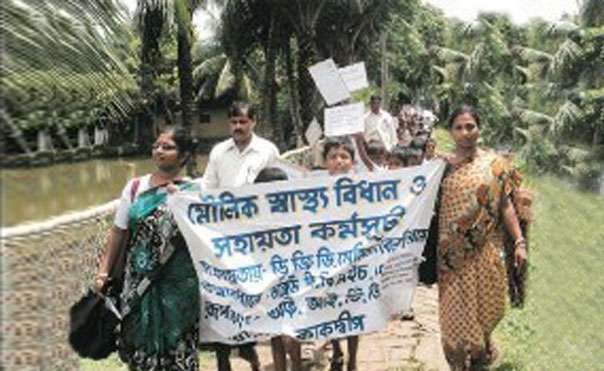 In 2005, IITD launched a project on basic Health Care & Support in 5 villages of Kakdwip Block of 24 Pagans District, with the support of WBVHA, MEMISA & DGDA Belgium. The main motto of this project was to improve the Health condition of the local people by strengthening the health providing system of Govt. of W. B. It is mainly supporting and assisting Govt. Health system in rural areas by finding out of gaps of health services as well as by providing additional support through, Training, Meeting, Seminar, Awareness program for active community participation , Involvement and demand creation for getting Health services as per requirement. It is a good Model where Govt. Health Department, NGO’s and community people are involved to assure better Health services is the rural areas. At present IITD is working in 83 villages of Kakdwip Block. 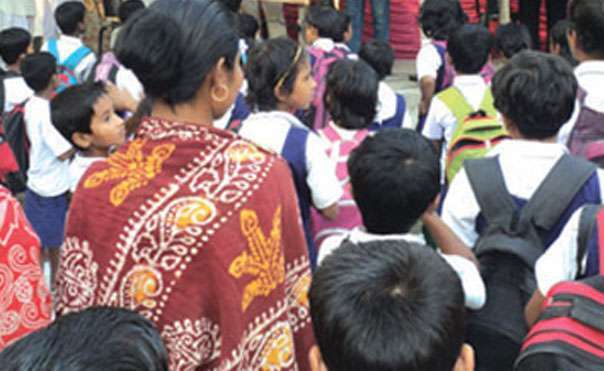 There has been increase in areas of operation of the programme; at present we are working in 83 villages of 5 panchayats in Kakdwip block covering 26 sub- centers. 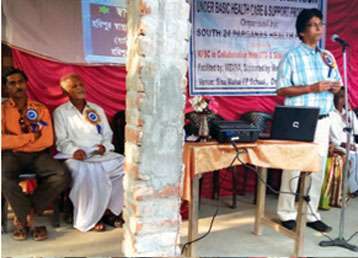 IITD played a key role in forming a Health Forum which consists of 16 NGOs of South 24 Parganas, covering 8 blocks. 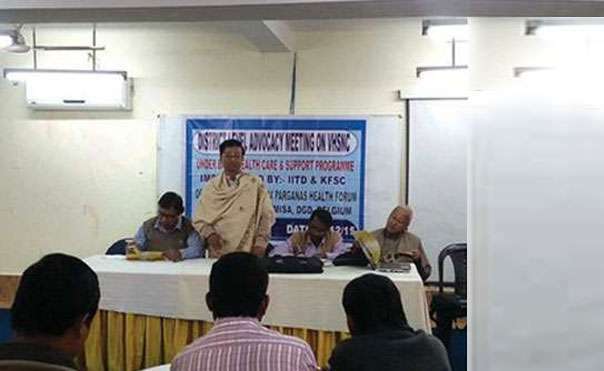 Basic Health Care Support Programme Of South 24 Parganas aims at Establishment of Functional Local Health Care System With Coherent Partnership of All Stakeholders Concerned of Health. • To improve and increase Accessibility to Quality Health Care Services for the People of the Target Area. • To provide special care services for prevention of malnutrition, HIV/ AIDS and other communicable diseases. We provide additional support to the health services at sub center level to reduce malnutrition rate as well as care for ANC/PNC mothers along with govt. health dept. in our working 83 villages of Kakdwip Block. Identiﬁed cases are referred to sub center and also for advocacy to gram panchayat VHC/ VHSNC. Sometimes we conduct govt. programme like International Women Day observation, leprosy control program where BMOH has also taken part. We organized advocacy meeting with diﬀerent stake holders & govt. oﬃcial, PRI personnel, Health related activist like, BMOH, Health Supervisor, ANM, CDPO, AWW, counselor of ANNESHA clinic etc, regarding the health issues through group meeting or one to one interaction. 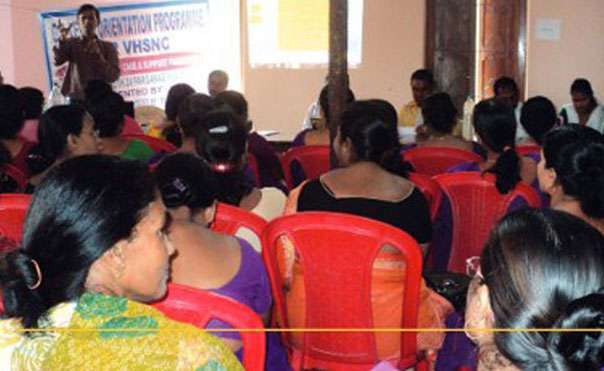 We have organized sensitization programme / orientation with VHC, ASHA,SHG,AWW on diﬀerent health issues like, cervical cancer, growth monitoring weight for height, local health issue, water & sanitation program IMNCI etc. We organized community awareness Programe on diﬀerent issues on health. ANM, 2nd ANM, AWW, VHC members attended these programs. Through this program we could reach extreme grass root level. From some of these programme mothers got directly beneﬁted and changes were found in spot feeding and family planning, under Sukanya Scheme-19 persons, SASPFUW Scheme -75 persons and Atal Pension scheme- 5 persons were beneﬁted. We built up capacity of seven grass root CBO of Suryanagar, Pratapaditynagar & Vivekananda gram panchayats through several meetings & training programme in order to promote the practice of visiting qualiﬁed doctor for any gynecological checkup instead of visiting RMP. The qualiﬁed doctors are now involved in rendering services at sub center. Women & adolescent girls have changed their mindset & started coming to sub center for checkup on regular basis. We provided support to different community based organizing to inspire their own local issue based program adopted at their one initiative. 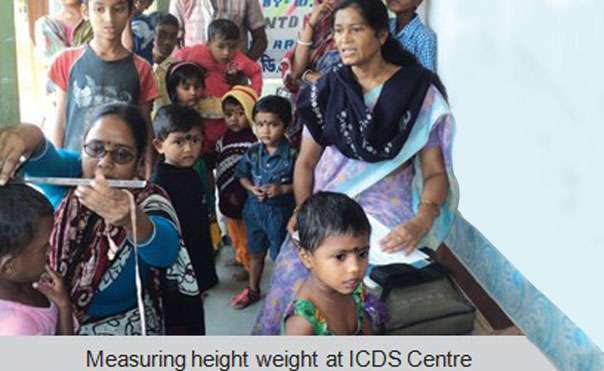 We provided hand wash materials to several ICDS center to promote hygiene practice among children from early child hood and the materials of toilet construction. To poor People to protect them from diseases caused by health determinants due to lack of toilet; the issue was raised by local CBOs who donated some materials; IITD donated some materials support for toilet construction. nt-size:12.0pt;line-height: 115%;font-family:"Times New Roman","serif"'>The main motto of this project was to improve the Health condition of the local people by strengthening the health providing system of Govt. of W. B. It is mainly supporting and assisting Govt. 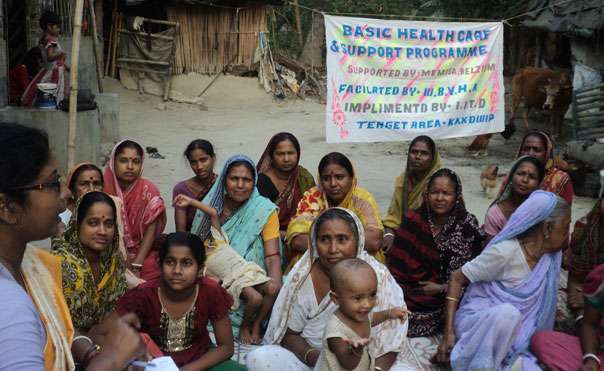 Health system in rural areas by finding out of gaps of health services as well as by providing additional support through, Training, Meeting, Seminar, Awareness program for active community participation , Involvement and demand creation for getting Health services as per requirement. 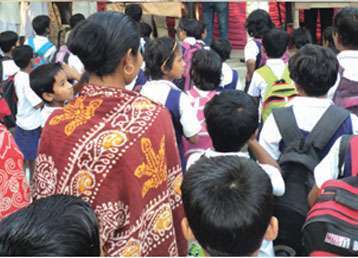 Sensitisation programmes were held through awareness camps/fair involving the adolescent groups in the villages. We arranged diﬀerent adolescents programme at village level. Adolescents are very much active to participate in these program; after program they called us to discuss their problems over Tele phone. Three days training with 45 adolescent was organized for up gradation of Adolescent group. 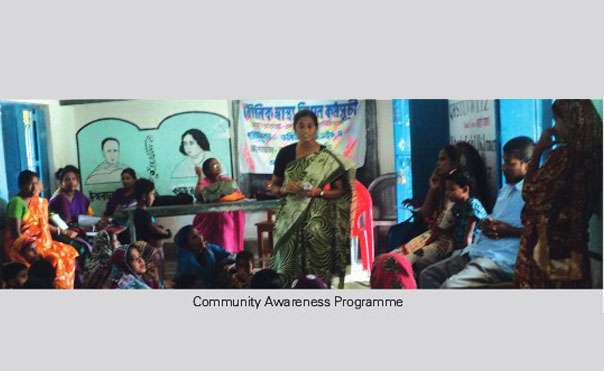 Adolescent village level group was also trained through our village level activist. We also arranged on regular basis training on Pranayama for the purpose of propagation of the concept of pranayama and their involvement. Several Trainings on recitation were also organized; total 112 no of adolescent have been brought in the fold of Adolescent Committee.